Brewed like no other beer the Anchor steam, signature beer of the Anchor brewery, uses a old historic technique. 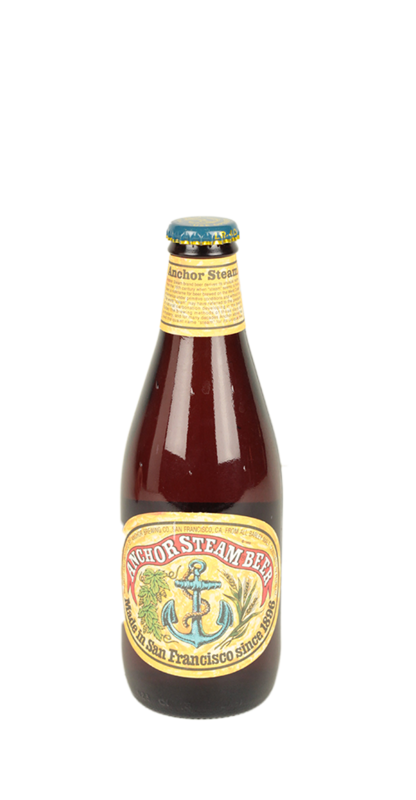 Left to open ferment Anchor steam is a blend of pale malts, lager yeast and creamy head. Perfect after a long day. Founded around the gold rush in San Francisco, Anchor has become one of America’s oldest brewery. Started by a German brewer the brewery fought off prohibition and today still produce in similar ways of generations before them. Today Anchor Brewing Co shows no sign of ending as they continue to produce excellent beers in their copper brewhouse.